There’s nothing like an excuse to dress up and drink beer! St. Patty’s Day is mostly an American holiday and not celebrated extensively in Mexico. However, Cabo is a popular Spring Break destination and you will see many people sporting their green on March 17th. Pub de la Chapu is the first Irish Pub in Cabo. Located in the marina, they have a wide selection of beers – including Guinness. Senor Greenberg‘s offers a corned beef platter, complete with cabbage. Baja Junkie will be selling $3 Green beer all Thursday night. If you didn’t bring your own, Baja Brewing Company will be selling St. Patty’s day themed Baja Brewing Company shirts. Head over to Cabo Wabo to try this green drink made with their tequila. Or make it at home. If you’re wearing green on St. Patty’s Day, head over to Squid Roe for a Cuervo Especial jello shot – green of course! 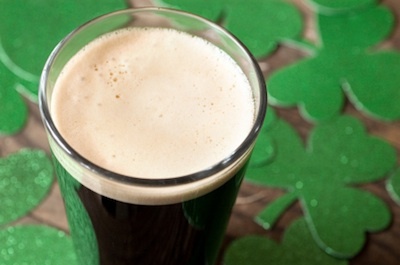 Have you celebrated St. Patrick’s Day in Cabo? Know any good spots? Let’s us know!